Wise Caucasian people has long been noted for itsability to speak beautifully, so famous toast of welcoming people on the right have taken a leading position among the sayings of the Slavs. 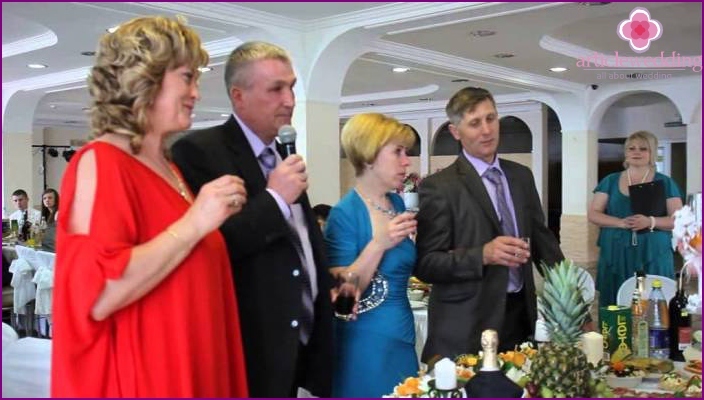 If you prepare in advance Caucasian toasts to the wedding and do not miss the occasion to congratulate the young in this manner, you will become one of the most distinguished guests, will listen to your advice and congratulations. 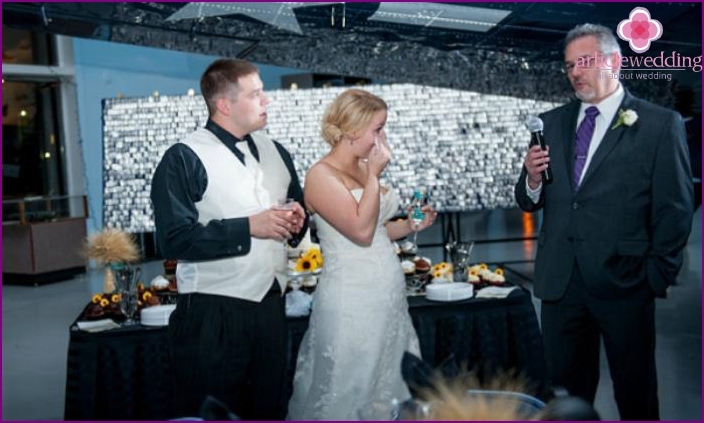 Also, you will bring a lot of humor and positive atmosphere in the wedding celebration. Caucasian toasts incredibly eloquent, characterizedits diversity, originality, fascination. You will never go wrong by deciding to use a toast at a table at a wedding while greeting the young. Just pick up an interesting idea (or better yet, just a few arm) to successfully fend off when on holiday you cause toastmaster at a congratulatory speech utterance. In the distant Caucasus mountains he lived a poor shepherd,who fell in love with the beautiful daughter of the rich man. He wanted to marry, but realized that will not receive the blessings of parents of Caucasian beauty. Then, the blood of the shepherd is still carried out the impossible task of earning a big beautiful house. When he came to the girl's house to pick her up the aisle, I saw a wedding and angry, but he did not give up and openly declared their protest: "This is my woman, bride fated my destiny, it can not be married to anyone else ! '. 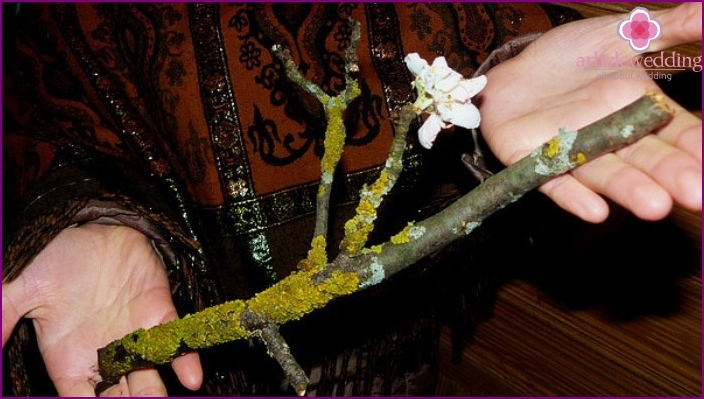 Caucasian bride's father was angry and wanted toexpel insolent, but the shepherd immediately suggested: "Let's check our feelings this way: take two branches of apple trees, one - for me, the other - for the groom. Plug into the ground, and in the morning see who the apple blossom branch, the worthy, he will take away your daughter down the aisle. " In the morning the shepherd branch blossomed, and the enemy - has dried up, and realized his dream Caucasian shepherd married a sweetheart. With this toast I now invoke the drink for true love that makes ordinary people to create real miracles! In the beautiful mountain village of the Caucasus lived madlyrich, but a greedy merchant. And the young son he was the same. One fell in love with a guy in a Caucasian girl, and told it to his father to receive the blessing to the wedding. Father insanely happy this news and the first thought that visited the old man, was: "You will see the daughter, and will be one more person, it will be on me to work in the new shop." However, during the courtship greedy Caucasianman was refused a girl because of his vice. Here the young man thought, because love was stronger. 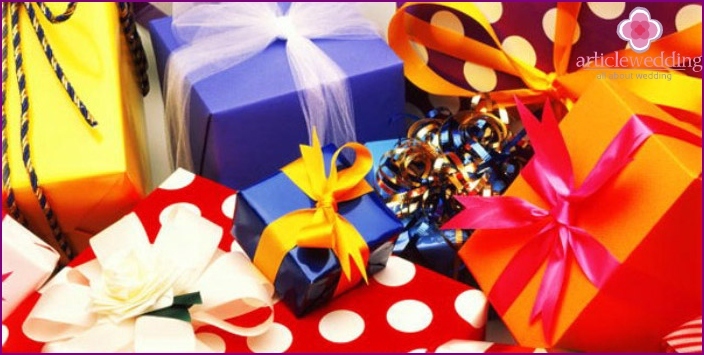 I went to the guy and bought all of their money is the best gifts for girls. Seeing this, she realized that love had changed the boy, and gave their consent. After this I want to say a toast, a wonderful feeling - love, only it is able to change people for the better. Let's drink to love the young! In Caucasian toast at a wedding there are manybeautiful greeting speech addressed to young people. Below you will find a few examples to prove this truth. To easily remember you like a toast, as much as possible, use your imagination, vividly picture the stories, as do representatives of the peoples of hot blood. Family life - like an endless blue sea, on thewater that floats your boat with a man. Sometimes the sun shines brightly, the sea calm, and there is a chance to relax. However, more often on the sea there are huge waves and raging it is in different directions boat, he wants to break the rocks. Man wants to quickly sail to a quiet cove where there is a family and a pleasant care. I propose a toast to the newly born young family and want a pleasant swimming among the waves of changing family life! One very wise ruler of the mountainous Caucasusthe country responded to the question of his pupil as he saves the life of his state in the world. The governor replied: "If I am angry, then calm my people, and if people are angry, I am at peace. This is because in reality we assure each other. " The meaning of these words is that family - the same state. So raise your glass for a way to preserve peace and tranquility in this newly formed family. Bitter young! At the wedding, always extremely relevant Caucasianhumor, here are appropriate cheerful, humorous toasts. Especially original will, if his congratulations in a spirit of utter newlyweds parents and children will want to use their teachings. Not everyone likes to be taught life. And to parental advice and parting found particularly valuable for young, get below the desired toast, which will help you in this matter. "Dear children! Ahead you will find great happiness lived together each day, it's a long way, but before you join it, you will learn the most difficult - survive his own wedding. Only the strongest pairs withstand this test without a loss. We hope that you will succeed. We would like to have a drink with you, that your Union has confirmed its vitality! " Here's to a famous mountain! Remember, it never came to Mohammed, because he never had that drink. And raise a glass to the good friends who in every situation come to us, even to share this great event, which deprives man of precious freedom! In the high mountain village I lived a proud Caucasianhorseman, and nearby - beautiful girl. One day they met and fell in love. Passed wedding, and family life flowed. At one day horseman went on their way to earn money, and promised his wife that he will soon return. Caucasian woman with long waiting for her husband, but could not stand one day, decided to send messengers to all his friends in a different settlement with the aim to find out whether there is not her husband. After a while messengers brought news from each other the same: "The excitement for no reason, your lover is in my house." Raise a toast to the groomsmen, on which he can always count on! The celebration in honor of the wedding - sweetevent for the people closest to the newlyweds. If this wedding brother or sister, for such a person there is always a nice congratulatory toast. This farewell will be really sincere, touching, with all my heart and always with a sense of humor, not to cry from a sentimental moment. See below in the photo a couple of examples of wedding toasts in verse form. In one Caucasian University, where studentsstudied medicine at the exam the teacher asks a question: "Come in, dear student, some varieties are generations of women?". Without thinking, smart Caucasian man replies: "There premature birth and late, as well as the nature of right and wrong." I thought the teacher and asked a studentdetail to justify your answer. A student and he replies: "Premature birth occurs in a year or two before the wedding, late - three or four years later, and the wrong character - is not when your wife gives birth to your child, and neighbor." Raising the glass, I wish to have a lot of young children, but to every delivery was on time and the right character! Ideal wedding greetingtoast - very brief speech. However, to make short toast at the wedding and say it all, I would like to - it is a great art. So speak freely only wise Caucasian speakers who compose beautiful greeting toast at a wedding. Sin does not use them. Below, check out a video in which in a short toast to the wedding style is reflected Caucasian eloquence.